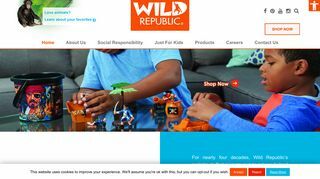 Wild Republic – Interactive site for owners of Wild Republic stuffed animals. News, games, stories, and location of stores to purchase plush toys. – Interactive site for owners of Wild Republic stuffed animals. News, games, stories, and location of stores to purchase plush toys.